The kind of dedication Microsoft team is showing towards the Windows 10 ecosystem is directly reflecting on the upswing of the number of users for this version. Hundreds of App, Universal App, Games being added everyday with constant updates has now become a routine. The development team at Microsoft is no where behind from the independent developers. 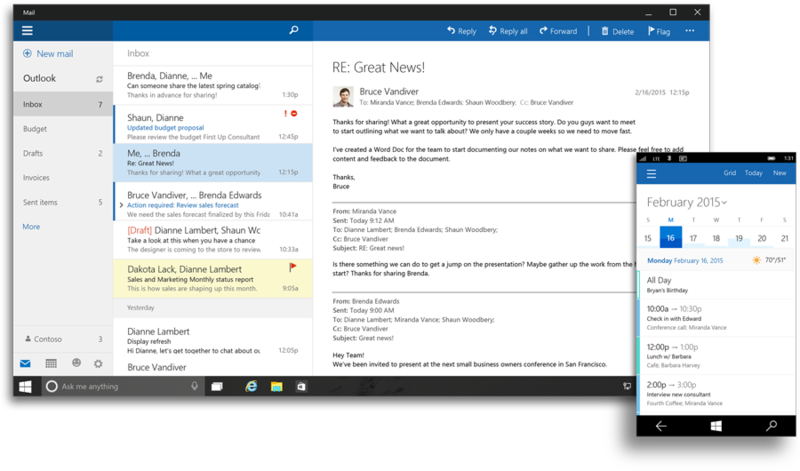 They constantly keep updating their Windows 10 apps, and today the universal Mail app another nice feature. The Mail app now offers you the ability to "undo" deleted items then moment you press delete, if you wish to change your action. Also, there was a “What’s New?” screen when we launched the mail app first time after updating. In order to update, head to the Store app or just click the link below. With no official change log, the Alarms and Clock app has picked up an update this morning.